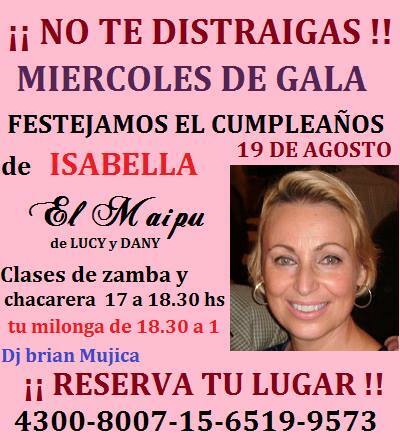 This entry was posted in Isabella Szymonowicz, tango argentino, tango milonguero and tagged Isabella Szymonowicz, tango y politica. At times I have asked myself if other people that dance tango in the milongas truly adore the absolute thrill and visceral power of dancing totally “improvisationally” as much as I do. When the opportunity arises to attend a milonga the anticipation beforehand is palpable. How will my tandas be? Will my favourite partners be there? How will the floor/group feel? Will I be able to open a little door and create some of the magic that will leave us both desiring more at the end of our beloved tanda? Having the experience of dancing here,abroad and travelling to Buenos Aires many times and residing there for months on end my desire to improvise something beautiful/passionate and completely in the moment has never been diminished. I would be thrilled to hear some of your stories about interesting spontaneous tandas and would love you to share some of them here if you like. 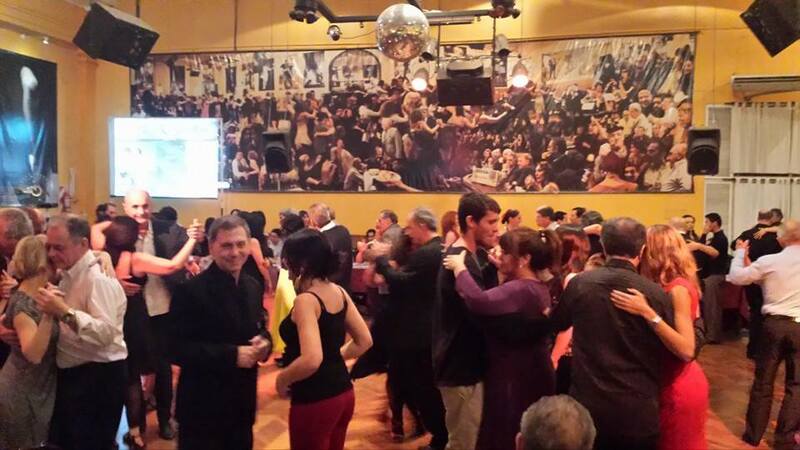 Here is one of my last demos this year in Buenos Aires at Cachirulo,the Saturday night milonga hosted by Norma and Hector in Villa Malcolm. 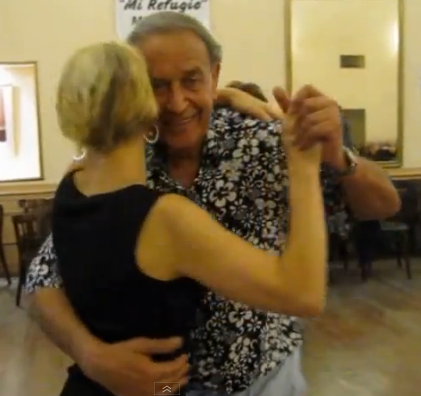 This tango is pure spontaneous improvisation….and to me, completely thrilling. Isabella Szymonowicz currently is one of the hosts of a Monday night practica. This article has been translated in articulos en espagnol. This entry was posted in Isabella Szymonowicz, practica el beso and tagged Hector y Norma, Isabella Szymonowicz, Javier Graminja, Practica el Beso, Swansea Townhall, Villa Malcom.